FIGURE 9: Effect of Pif1 DNA helicase on Pol δ-mediated DNA synthesis. (A) Reaction scheme to examine the effect of S. cerevisiae Pif1 helicase on Pol δ-mediated DNA synthesis. 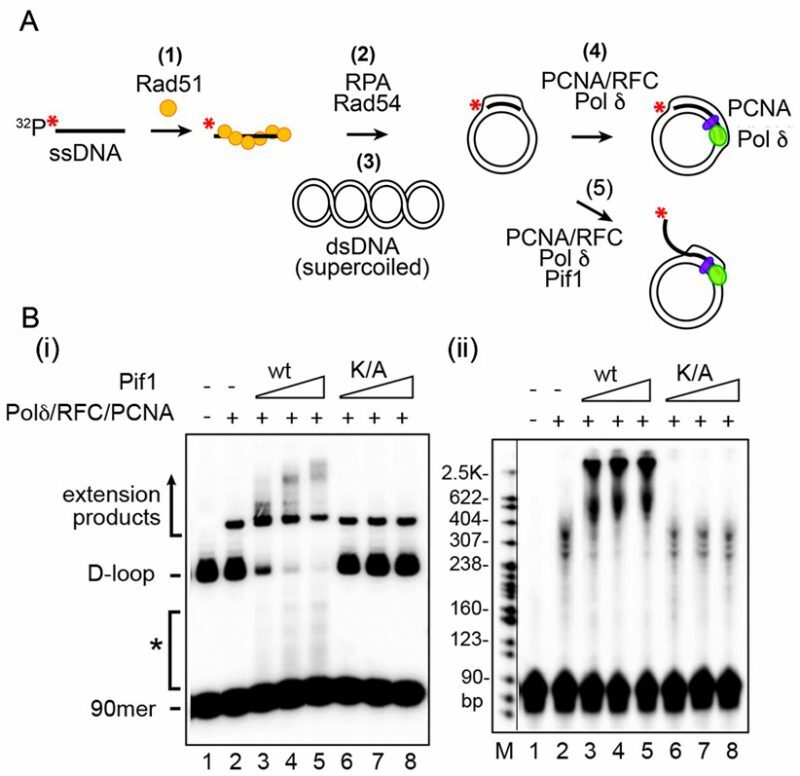 (B) Reactions conducted with PCNA-RFC-Pol δ in conjunction with Pif1 or the helicase-dead mutant pif1 K264A (K/A). Analysis was by (i) native gel electrophoresis and (ii) denaturing gel electrophoresis (7M urea, polyacrylamide) . The asterisk identifies extended invading ssDNA species that had been released from the D-loop by Pif1. (The gel image is taken from ).